Gerry Arrigo was a spot starter for the Reds from 1966 to 1969. Prior to that he pitched for the Twins. 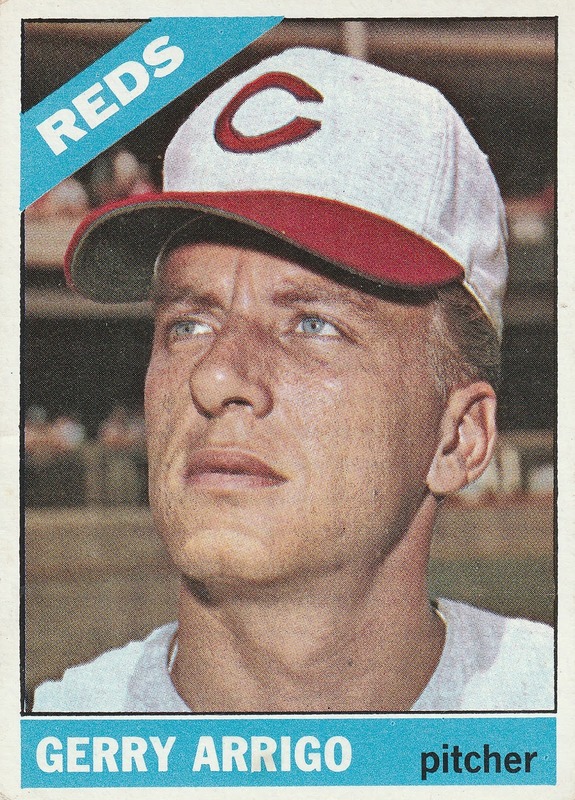 What I didn’t realize until today was that Gerry began the ’66 season with the Reds, was sold to the Mets in May, and returned to the Reds 3 months later. Arrigo was signed by the White Sox 1960, but the selected by the Twins in the first-year draft after that season. He pitched in the Twins’ farm system from 1961-63, also making a few appearances each year for the Twins. In 1964 he spent a full season with Minnesota, appearing in 41 games. His 12 starts ranked him 6th among the Twins’ starting pitchers that season. After the season he was traded to the Reds for prospect Cesar Tovar. It appears he played most of the 1965 season with the Reds, except for the month of August when he pitched 9 games for their triple-A team. As mentioned earlier, Gerry played the bulk of the 1966 season (essentially) on loan to the Mets. He pitched 42 innings over 17 games for New York, and only 3 games for the Reds. 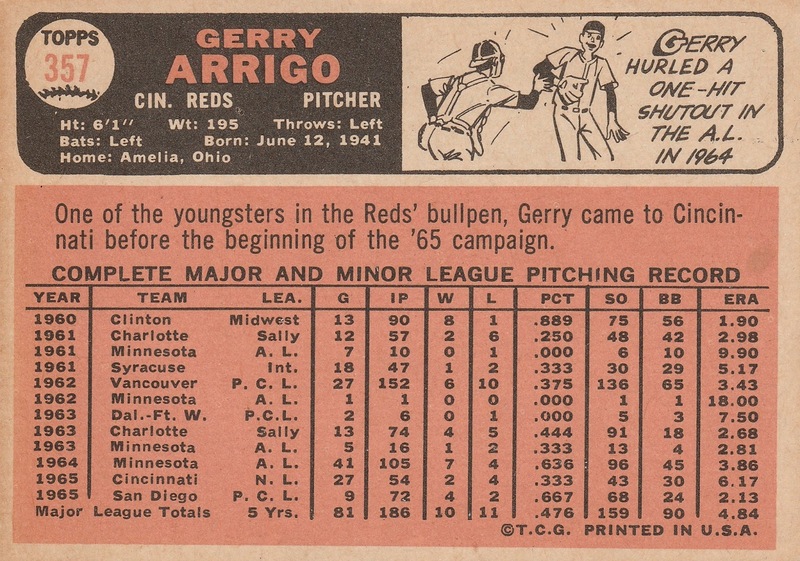 In 1967 Arrigo appeared in 32 games, as the #4 man in the Reds’ bullpen (well behind closer Ted Abernathy). 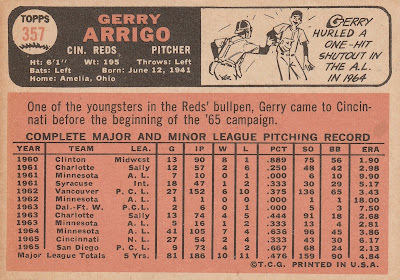 Gerry found himself in the Reds' starting rotation for all of 1968, the only season where he was primarily a starter. He fashioned a 12-10 record in 205 innings while starting 31 games (all career highs). 1969 would be his last season with Cincinnati. He started 16 of his 20 games, but only played 1 game prior to June 1st that season. After the ’69 season he was traded to the White Sox (also learned THAT today) for outfielder Angel Bravo. He played for the Sox during the first 2 months of 1970, but spent the rest of the season with their AAA team. Arrigo retired after pitching the 1971 season for the Braves’ AAA team.